A fascinating day yesterday in Franciacorta, where I spent the afternoon and early evening touring vineyards and discussing soil types with growers and winemakers. That’s a stone from morainic soil in the eastern part of the appellation, above. 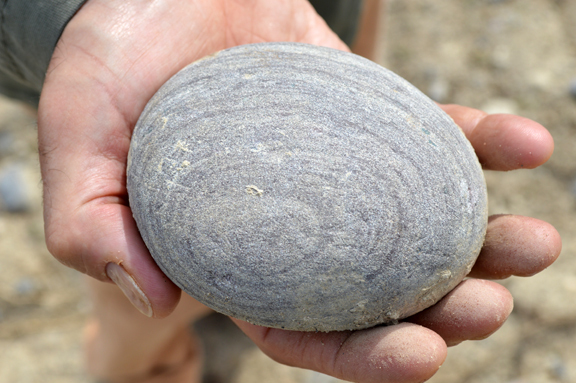 Note how it was made smooth and round by the flow of water from an ancient glacier. I’m working on a forthcoming post on what I learned and saw during my visit. But in the meantime, I wanted to share a few images snapped yesterday in the vineyards. In the image above, taken in a morainic and limestone-rich vineyard in the southern part of Franciacorta’s morainic amphitheater, note how drastically the limestone changes from white to reddish. 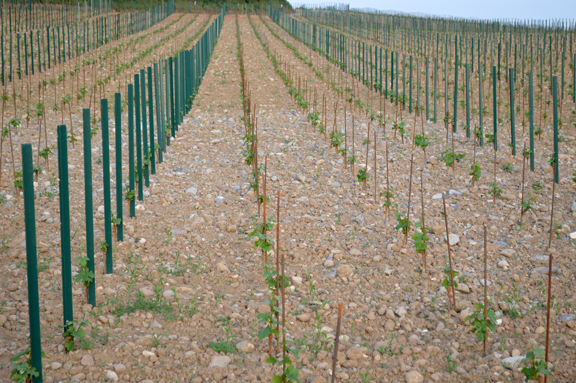 According to a survey executed by the consortium, there are no fewer than 68 soil types in the appellation. It’s going to take me some time to put the post together. But these images offer a glimpse into what makes Franciacorta such a unique place to produce sparkling wine. Thank you again to the growers and winemakers who generously took time out to meet with me yesterday!